Sgt. Melvin J. Pope, son of Mr. and Mrs. W. L. Pope, graduated from Laing High School; husband of the former Lola Mae Tayler. Entered Army in April, 1941, trained in Camp Wallace, Camp Howze, Texas, Washington, Camp Haan, Cal., Ft. Meade, Md. 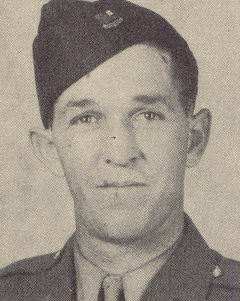 ; served in England, France, Belgium and Germany, where he was killed in action in March, 1945.